Two month ago, while waiting outside the insane lines of the Bon Appetit Pop Up Cafe, I met my first fellow blogger Jennifer (Blogging Souls), an avid traveler, cook and food lover. After her recent return from the sights and sounds of Brazil (makes me so jealous), she asked to do an interview “about me” over some “bahn mi”… get it? I know, I know, don’t worry, I’m keeping my day job. An Choi is a cute little place. 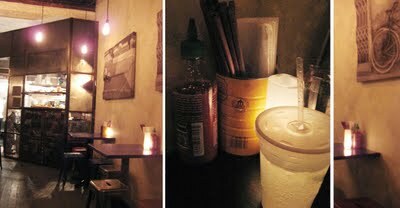 Aspiring to look like an alley in Vietnam, from the table settings, to the graffiti on the wall. It looked promising, I was expecting an authentic Vietnamese street foodish affair. I didn’t walk out convinced, but food wasn’t bad. We shared the Goi Cuon Ba Mon – Salad Roll Sampler: Pork Basil Meatball, Eggplant and Grilled Shrimp. The Pork Basil Meatball (Nem Nuong) was a hit, the pork had really nice spices and enough flavor to make the bland lettuce, rice noodle and wrap stand out without any dipping sauce. That meatball is good enough to pair with anything and I liked their wrap better than the ones I get at home, it gives a good stretch and chew. 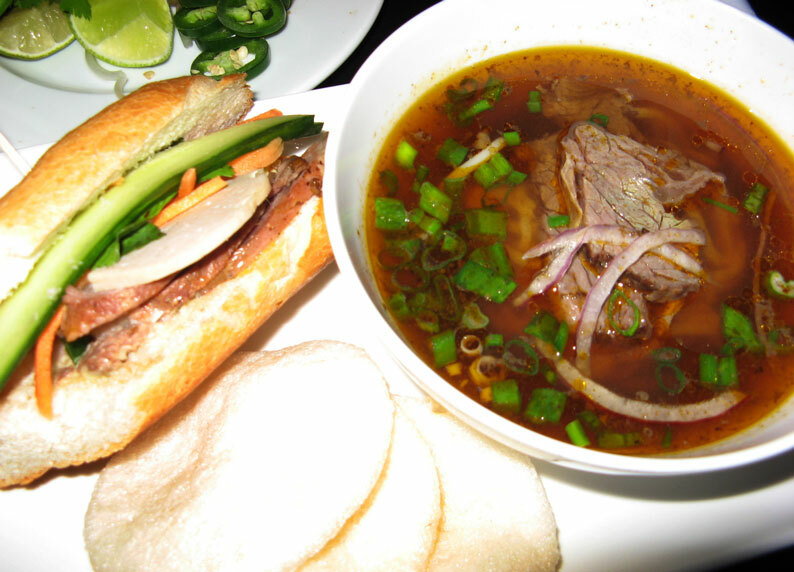 I’ve had soup and sandwich countless times, but never a Pho + Banh Mi Combo = $12. I was so thankful when they let me have the Hue Style Beef Noodle Soup (Bun Bo Hue), which was clearly stated “excluded” on the menu. A small bowl of comfort. A flavor explosion in soup form. A spicy beef broth with lemongrass and sweet pineapple. Plus a little sourness from the fresh lemon, which made it pop. The round rice noodles had really fun chewy personality and the beef was tender, BUT, as I kept digging, in search for the described pork salami & pig trotter, they were no where to be found. I know they did me a favor for making this part of the combo, but if it’s gonna be a non identical, half version of it, I should of been warned. 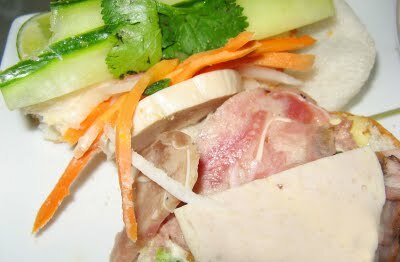 The Classic Cold Cut Special (Bahn Mi Dac Biet), which had 5 spiced ham, pork salami, headcheese and house pate was good, I loved the headcheese. Everything was freshly made at the front of the store in a “street cart” format and though the meat had good flavors and quality, their baguette couldn’t compare to the fresh baked ones at Paris in Chinatown. It also came with a handful of shrimp chips that reminded me of childhood at home. 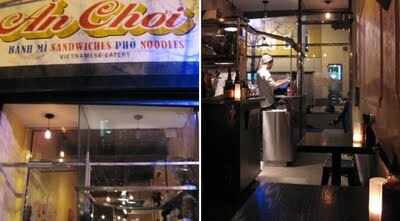 Both of us agreed, we had better Bahn Mi or Vietnamese food in general, outside of NY. I love the joints in Toronto and Jennifer mentioned the West Coast. But even just a few blocks away in Chinatown, is Bahn Mi Saigon, one of my favorites. If I were in the area, I would go back for the Hue Style Beef Noodle Soup, but would make sure, I get EVERYTHING, pig trotter and all, which is optional on the menu. coming to NYC 3rd 4th 5th of Dec will check out your blog for tips meeting fresh local and best let me know if you want to meet us! 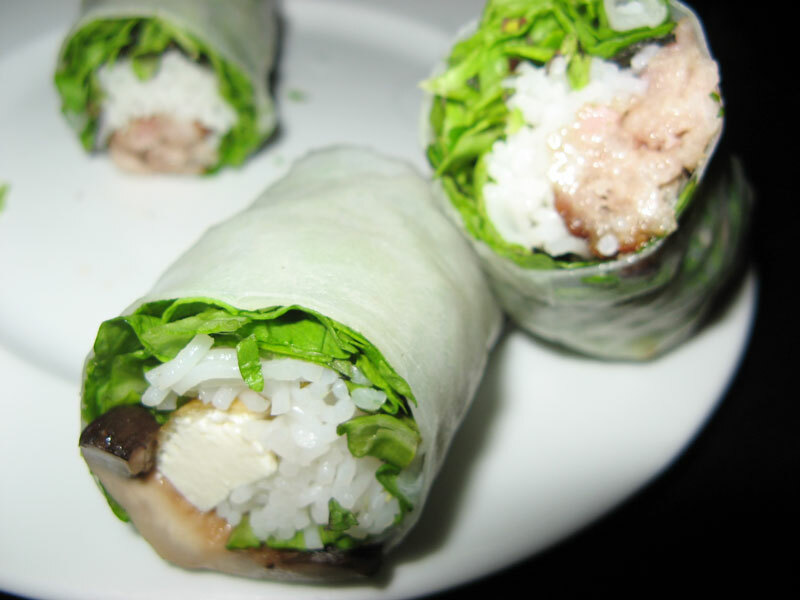 Looks like a good place for Vietnamese food! I just want too take time too Thank everyone for doing what you do and making the community what it is im a long time reader and first time poster so i just wanted to say thanks. I would just like to take time too Thank everyone for doing what you do and make this community great im a long time reader and first time poster so i just wanted to say thanks.